the WRITE Balance: Friday, Facebook and Feedback! Happy Friday! I don't know about you, but I've had a long week - sickness, emergencies, etc. - and I'm ready for the weekend! Are you following the blog on facebook? 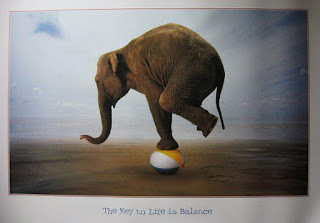 I'm always coming across articles and various things I find helpful in my balancing act and Finding the WRITE Balance's facebook page is where I share them. So, if you'd like to keep up with it all, like Finding the WRITE Balance on facebook! And finally, would you be interested in helping me with a little bit of amateur research? I'm starting to work on a series about writing and would love to know a few things about your writing life. Do you keep a journal, write letters (not texts or pms) or keep a written record of anything in your life? Have you ever found it beneficial to do that at any point in your life? If not (or not right now), what is the biggest hinderance to any kind of writing or journaling? Feel free to email me with your response if you're not comfortable leaving a comment.